Over the years the way I’ve celebrated Christmas has changed as the family that I spend it with changes. A combination of others and me growing older and moving through different life stages, and I’m pretty sure I’m not the only one who experiences that! For me those things would be… the smell of real pine on the tree decorations (even though Mum has had a fake tree for years! ); giving hints for months about what gifts I would like to whoever would listen; listening to Clement C. Moore’s ‘Twas the Night Before Christmas’ on Christmas Eve with my sister; singing ‘O Come All Ye Faithful’ while carolling for the elderly with my Grandma, and biting into her Christmas fruit mince pies on Boxing Day. I do miss some of those old Christmas traditions, most especially Grandma’s pies! 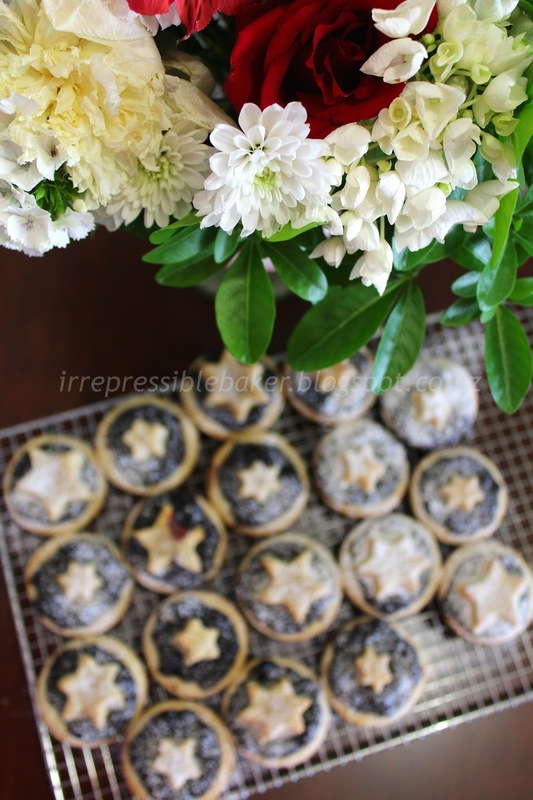 I recently found out how divisive fruit mince pies can be: several of my workmates denounced them for their fruitiness and another called them “fly cemeteries”! However I refused to be discouraged and finally decided this year to bring back these humble pies back into my Christmas celebrations. 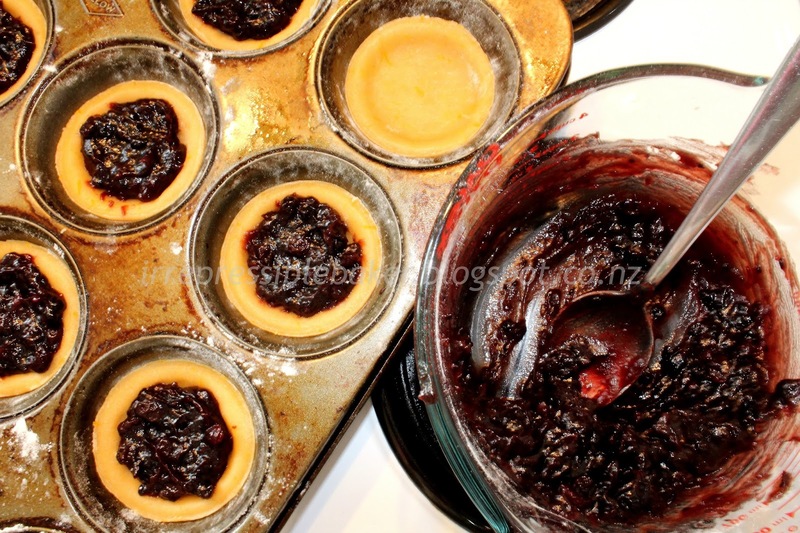 However, I have a few tricks up my sleeve to make them more appealing: berry-based fruit mince from Anathoth with boysenberries and blackcurrants, and some tangy orange zest and spices for the pastry. For the shortcrust pastry I wanted a rich, thick, crisp pastry like my Grandma would make, so I minimally adapted Jamie Oliver’s sweet shortcrust recipe. The recipe in full is below so that it’s easy to follow. 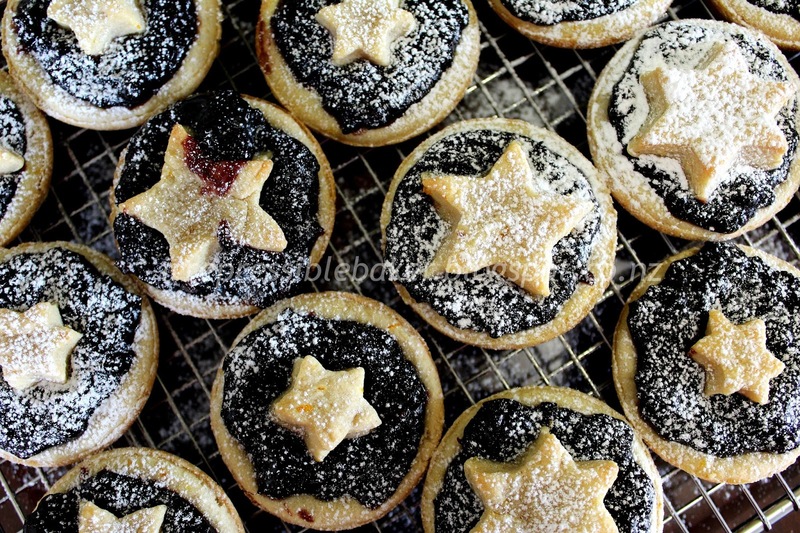 While my Grandma used to make fully-encased fruit pies, I was enchanted by the star-topped mince pies that I found on Nigella Lawson’s website, so I made mine like that, but you would have enough pastry to give yours proper lids if you doubled ingredients for the pastry. The key to pastry, it seems, is keeping it cold; use cold butter, keep your hands cold by washing them in cold water before touching the pastry, refrigerate the pastry before using (and even at stages while making it if you like). I was lucky to have a cooler day to make it! Jamie’s comments for his recipe encourage you not to over-work the pastry to make sure it results in a flaky crust. It was lighter/less rich than my Grandma’s version, but with all the sweet goodies around at this time of the year I’m probably better off! I hope you get a chance to create your own homemade Christmas treats, and that you’re inspired by this recipe to add some tangy flavours for memorable mouthfuls. 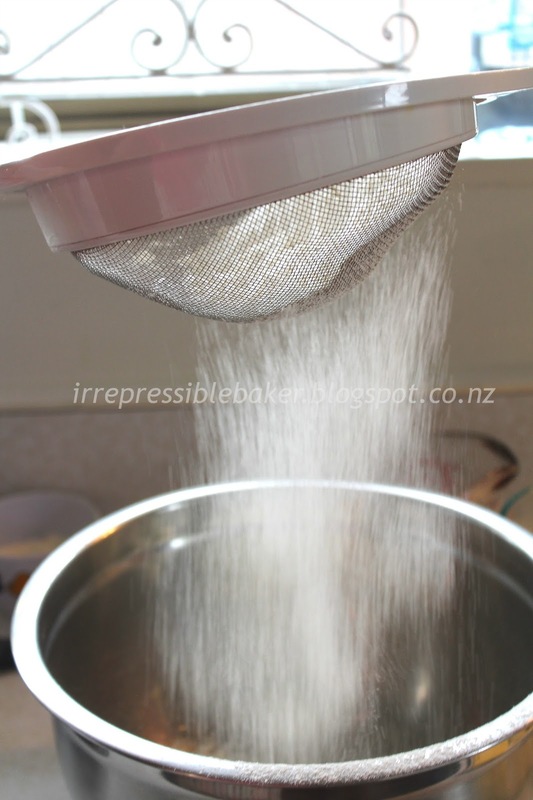 Sieve the flour and icing sugar “from a height” into a deep bowl. Add the cubed butter and use your (cold!) hands (or a pastry cutter to start with as I did – though if the cubes are small enough you might not need to) to rub the butter into the flour and sugar. Use your fingers and thumbs rather than your palms, as they are warmer. Keep going until the mixture is like fine breadcrumbs. Add the orange zest and spices, using your fingers to combine these ingredients, especially to make sure you don’t get clumps of orange zest. At this point I put the bowl in the fridge to firm up the butter within it again. Combine the egg and milk in a small jug/cup/bowl. 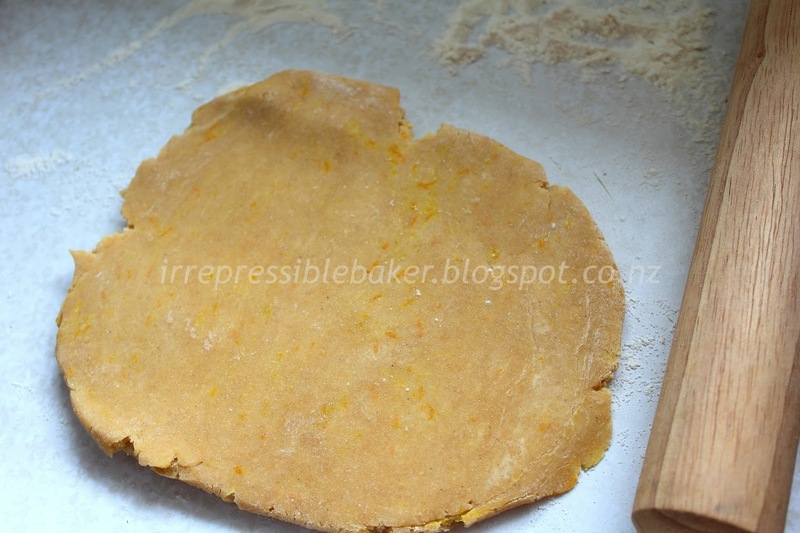 Make a well in the centre of the butter-flour mixture and pour the milky egg into it. 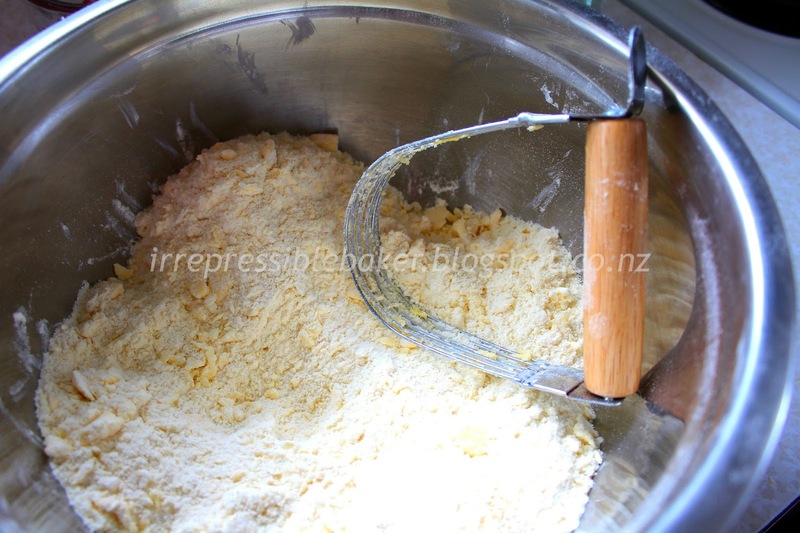 Use a metal spoon to mix together until it gets too thick to continue, then use your hands to work the mixture into a dough by kneading it lightly to combine all the dry crumbs into one ball. 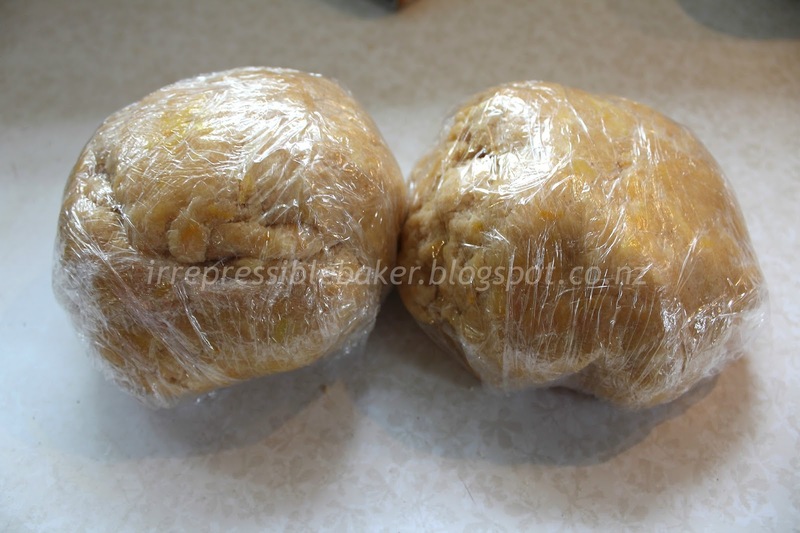 Wrap the dough in clingfilm and refrigerate for half an hour. Lightly flour a 12-hole muffin tray or tart tin. Remove the dough from the fridge and knead with floured hands for a minute on a floured surface, long enough to make it *just* easy enough to roll out but still cold. 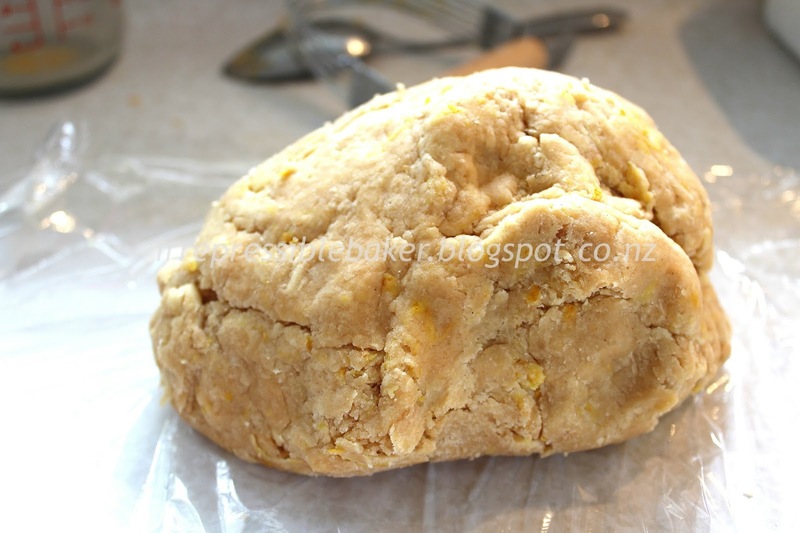 Rub flour on your rolling pin and roll out the dough to approx. 5mm thickness. 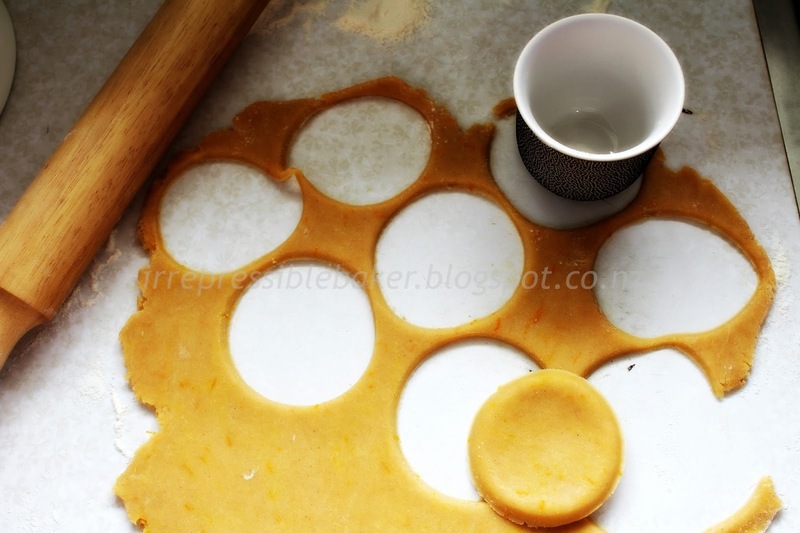 Cut out 12 rounds from the pastry dough using a round cookie cutter (which could be a cup like the one I used!) with a diameter a couple of centimetres wider than the base of the muffin/tart cavities in your tray. 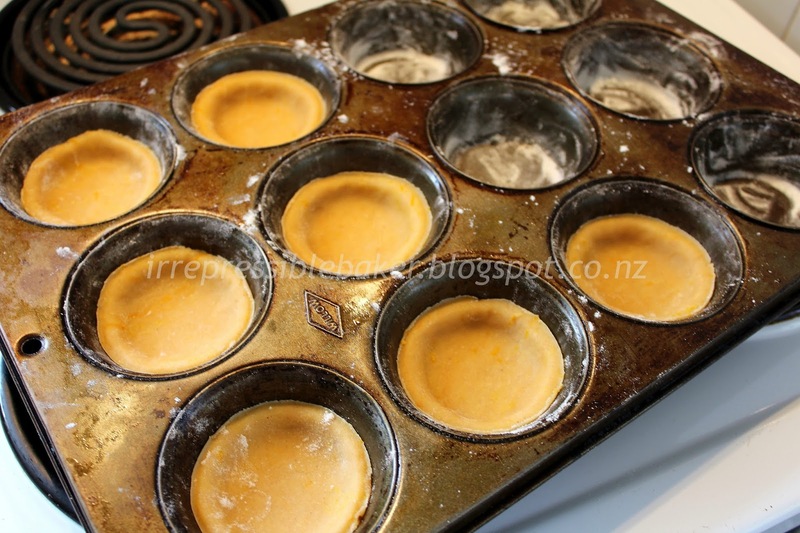 Push each round into each floured muffin/tart cavity – the pastry will only come up the sides a short way. 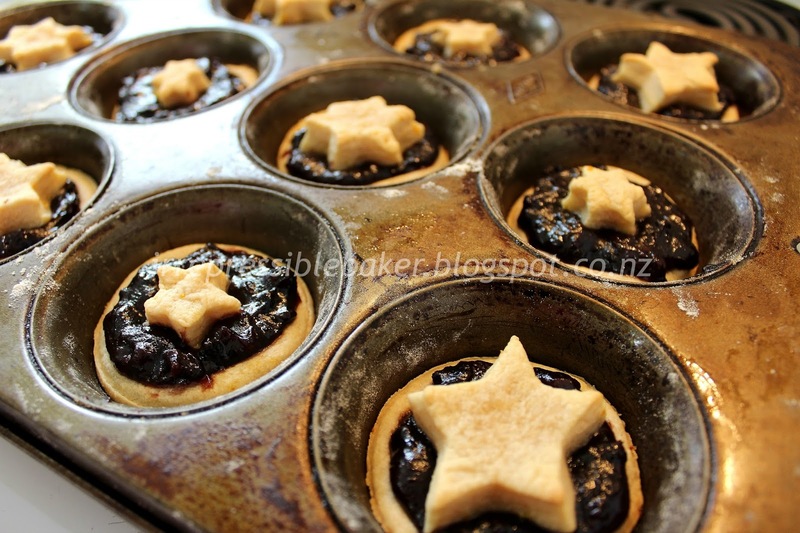 Spoon one tablespoon of fruit mince into each pie case. 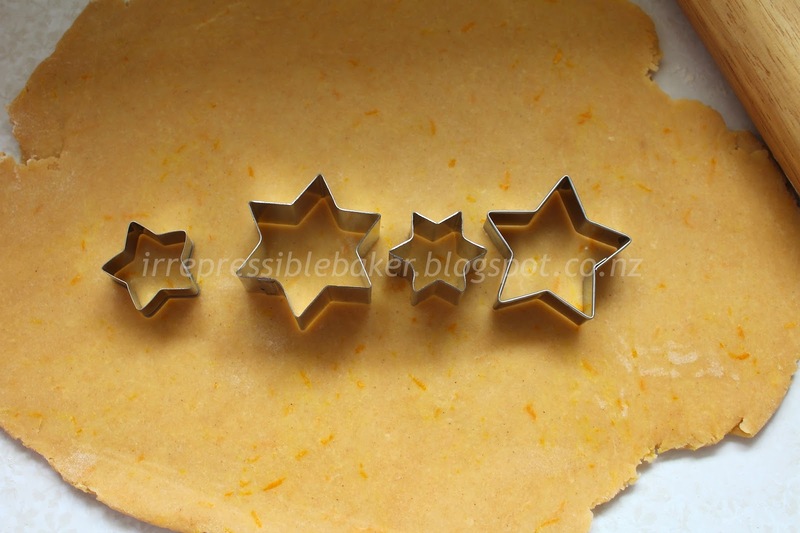 Re-knead the remaining pastry, roll out and cut 12 stars using a cookie cutter(s) no wider than the diameter of the round cookie cutter used for the pastry cases. 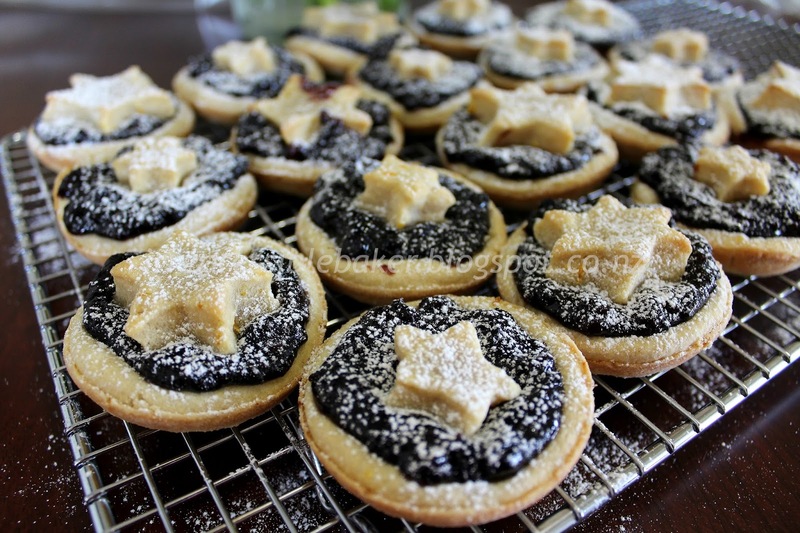 Place one on top of each fruit mince pie. Bake at 200 degrees Celsius (conventional oven) for 15 minutes. Cool a bit before removing from the tins with a fork. Eat warm or at room temperature, dusted with icing sugar. Note: The instructions above produce 12 pies. 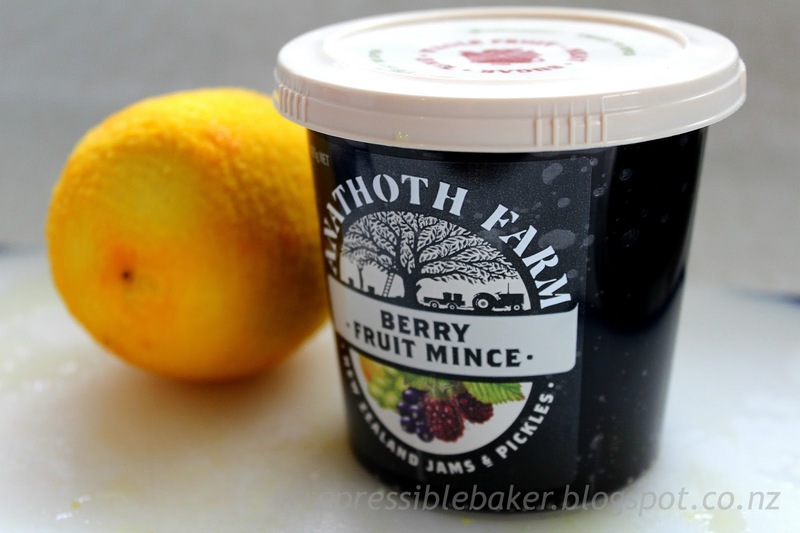 If using the Anathoth fruit mince, you will have enough mince to make around 18 pies; you can double the pastry ingredients and have enough pastry to make 18 pies with some pastry left over. 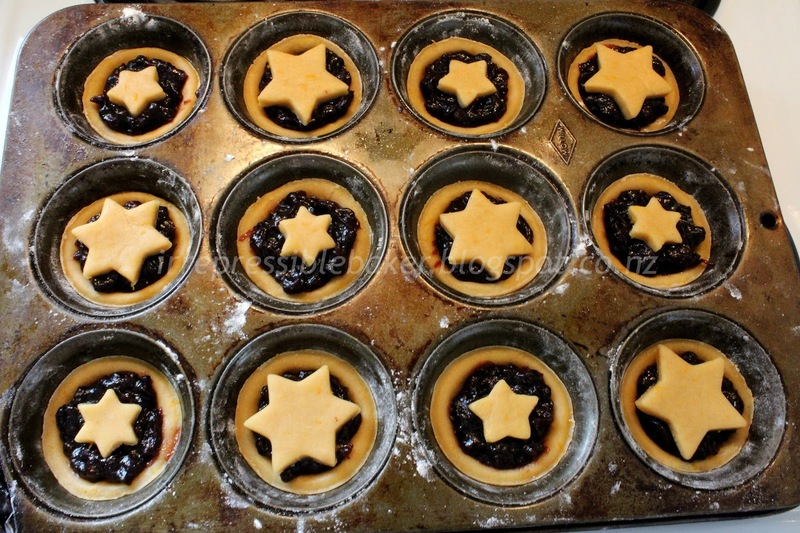 Alternatively, double the pastry ingredients anyway and cut rounds instead of stars to encase the fruit in the pies, using a fork or your fingers to attach the top rounds to the bases. The past few years I’ve been with my husband’s family at Christmas time and really enjoyed getting to know their traditions for the holiday season, and even making my own traditions. In addition to making these pies, my favourite new tradition is to attend our church’s Christmas Eve service to marvel at how the God who made the world came to earth as a tiny, vulnerable baby, to be the Saviour of the world. 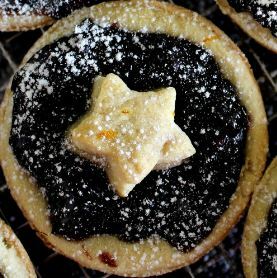 The stars on these pies make me think of the bright star that led the wise men that first Christmas, and the wonder they must have felt when they met the King of kings. My hope is that, amidst the happy trappings of the season this year, you’re drawn to ponder that first Christmas and how it might shape your history.